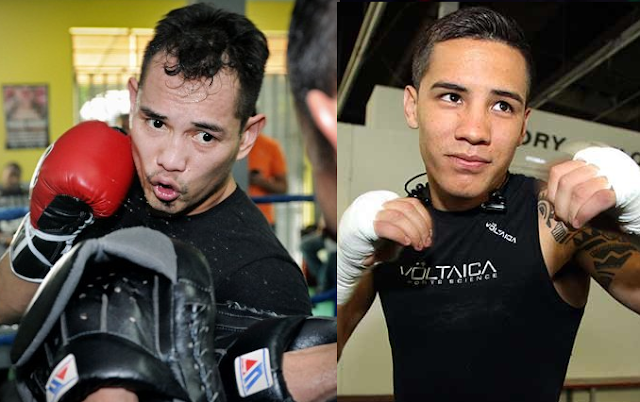 Top Rank promoter Bob Arum is planning to negotiate Nonito Donaire vs Oscar Valdez in early of 2017. “That's a great fight for Donaire and it's a fight that we look to make for the first three months of the year,” the veteran promoter recently told US boxing scribe, Steve Kim of boxingscene.com. Donaire who's coming off a unanimous decision defeat over Jessie Magdaleno is also interested in the said fight. "I definitely want to go back to 126 when I get done with 122. Valdez is an amazing fighter. He's a freaking hungry lion and a champion and an amazing person first and foremost. He's an amazing champion and that is definitely something to look forward too," Donaire told BoxingScene.com. Donaire also wants a rematch against Jessie Magdaleno but if not there's still a lot of big offer awaits for Donaire including the WBC title eliminator fight against Anselmo Moreno. The current WBO World featherweight champion Oscar Valdez has an undefeated record of 21 wins including 19 big victories by way of KO. Valdez won the vacant WBO World featherweight title last July against Matias Carlos Adrian Rueda via TKO and successfully defended it vs Hiroshige Osawa of Japan also via TKO.